TGIF! Weekend is here again! 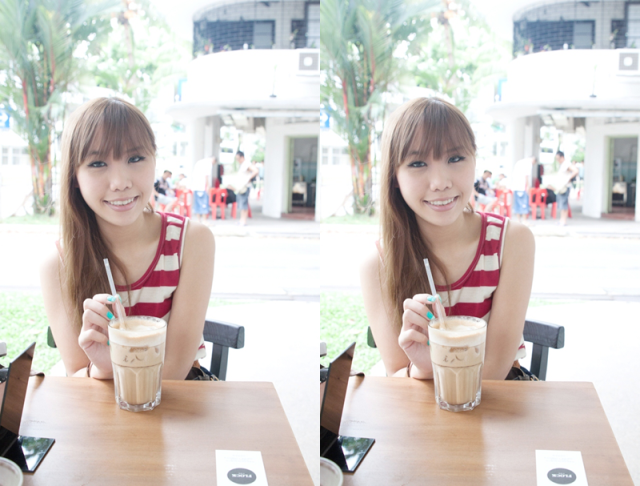 I always feel very happy and carefree on weekends. 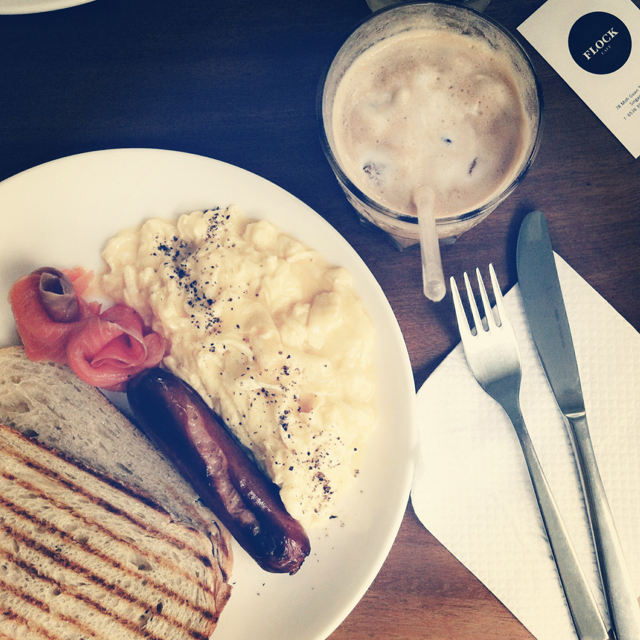 One thing I absolutely love doing on a weekend morning is having brunch food. Something about it makes me feel so happy! 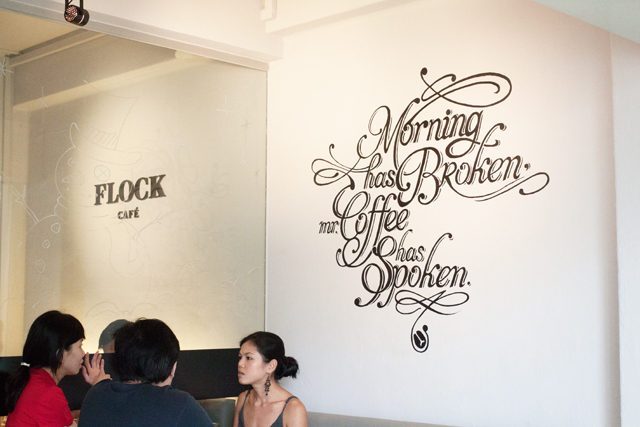 However, not all places serve good brunch food. 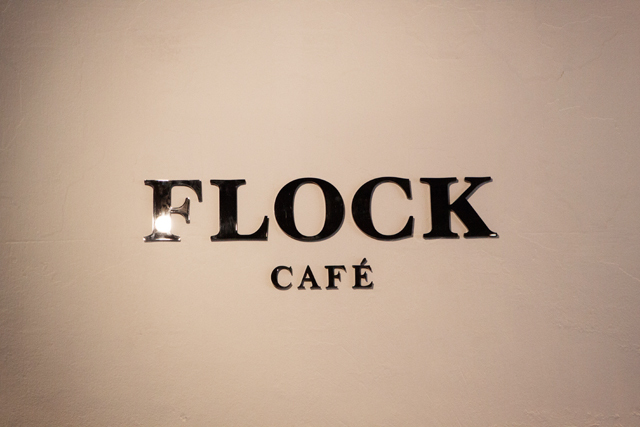 I'm glad my boyfriend and I discovered Flock Cafe! 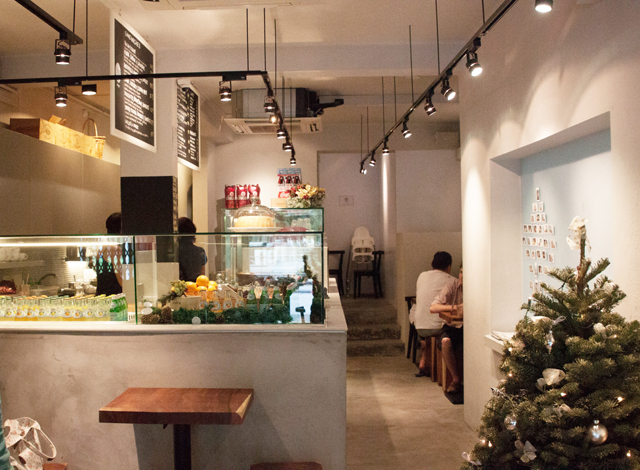 The food is good and the prices are all considered low as compared to other brunch cafes. 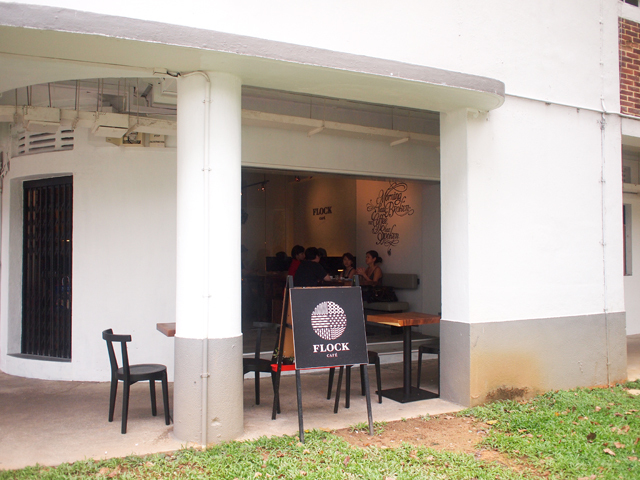 Flock Cafe is located at Tiong Bahru, where many nice little cafes are located. At first I wasn't all too excited about this place as I felt the name was quite boring. The weather was extremely hot and we desperately wanted a seat inside but the lighting was too dim to take nice photos. And so, we decided to sit outside. Haha crazy one, so much dedication to capturing nice photos. 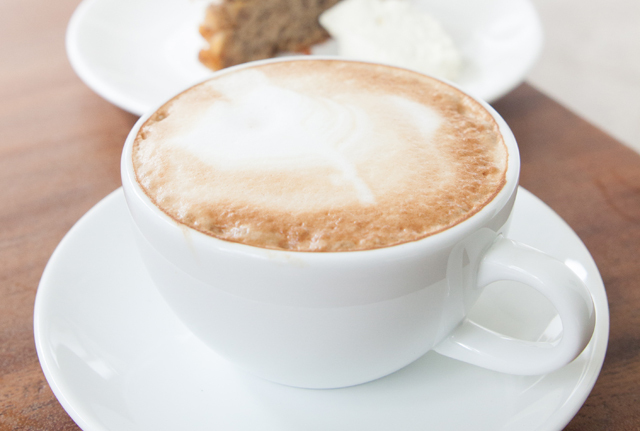 Sunlight is a crucial factor in ensuring bright and clear photos! I almost always choose to sit outside now. 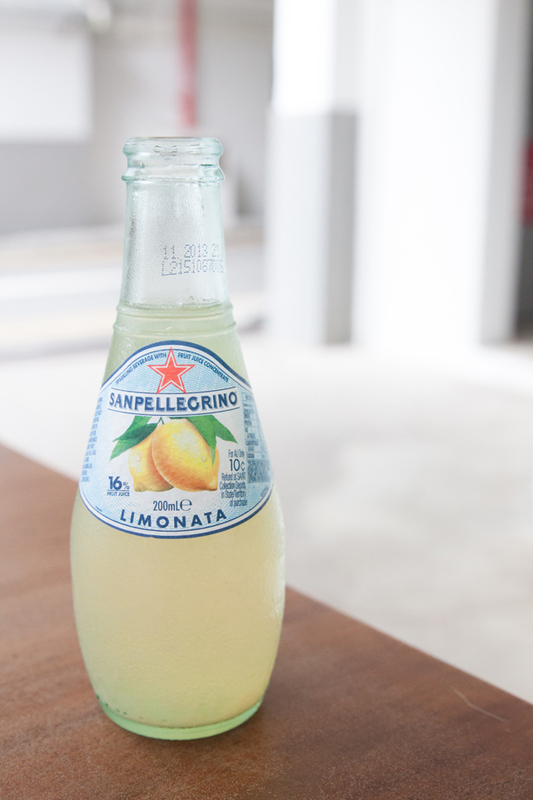 While I got myself a cup of ice latte ($4.80) again, bf ordered this lemony bottle of drink ($4.50). He keeps ordering lemony drinks recently -_-" Until I don't really remember if the one I liked was from this cafe or another. I extremely love my breakfast platter!!! Every mouthful was awesome. Smoked salmon was awesome, sausage was awesome, toast was awesome, scrambled eggs were awesome (I would prefer more salt for the eggs, but it's still good!). Aaaahhh, I so want to go back there right now to have it again. 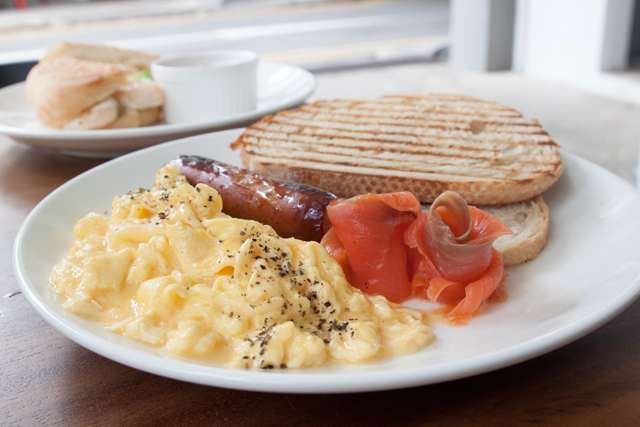 Scrambled Eggs & Toast ($6.90) with additional order of smoked salmon and sausage (+$7.00). 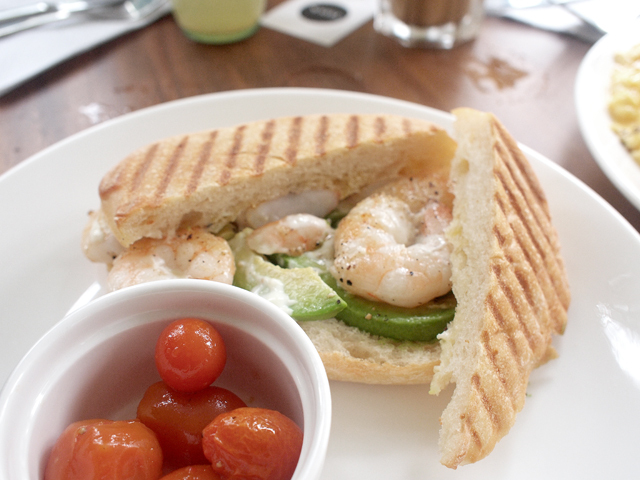 He got himself the Prawn, Avocado and Lemon Mayo ($12.90). The prawn was plump and yums! 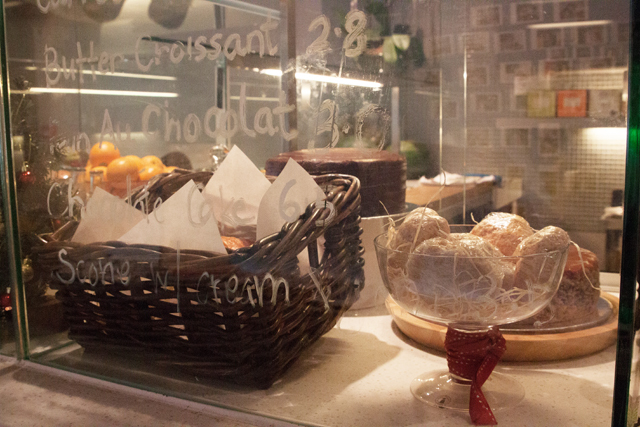 I love the pleasant ambiance in the cafe, and also the great service we received from one of them. 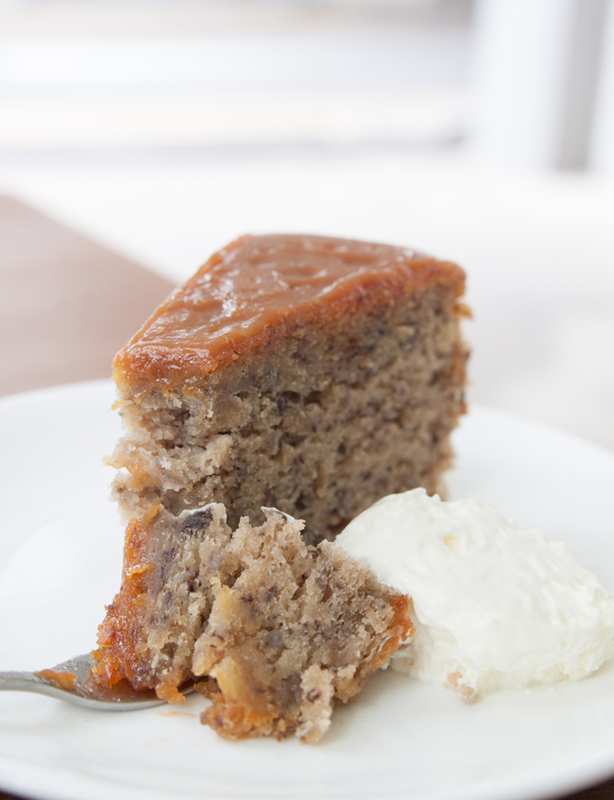 A cup of Flat White ($4.80) and Banoffee Cake ($6.00) to complete the meal! Cake was slightly disappointing after the superb mains. 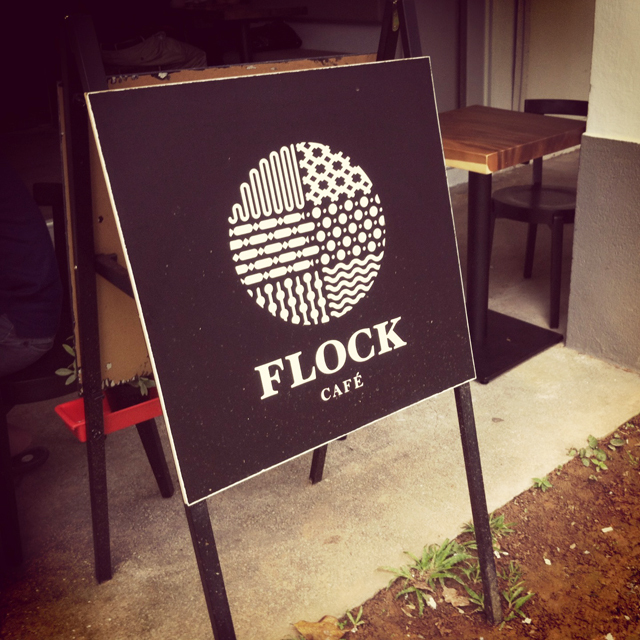 Overall, it was a great brunch meal and I recommend this place for your lazy weekends! Dress is from www.mamatiam.com! The bold colors complement my mood for the weekends! 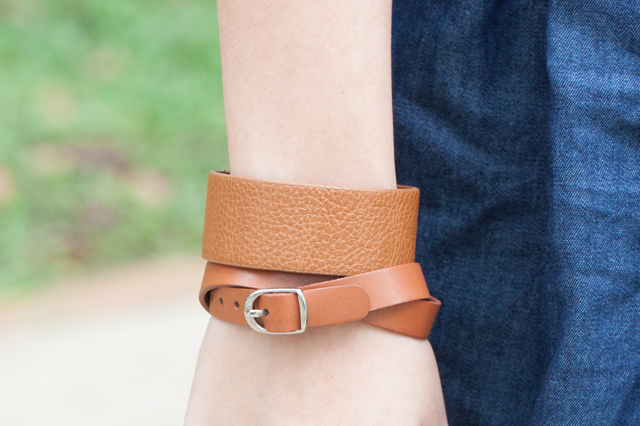 Paired the casual dress with brown bracelets, belt and wedges.